With his fantastic cinema debut WHOLETRAIN the graffiti movie from Florian Gaag tells the story of a crew of four “writers” – David, Tino, Elyas and Achim – who observe the hierarchies, the values, the rules and the codes of the graffiti scene. Night after night they make off for the subway stations of the city, intent on leaving opulent images behind. But as another crew appears on the scene, and the four feel challenged, a creative battle ensues, one that will change the lives of these young people for ever. We are confronted with life taken to the limit. Constantly on the edge of legality. Always on the run from the law. Urban space must be reclaimed. Friends are made and lost. Unbridled creativity and doing things for the sheer love of it are watchwords too. WHOLETRAIN is an exciting and emotionally gripping drama, one that explores for the first time the secret universe of the graffiti scene. The protagonists exist in a breathless state, suspended somewhere between two worlds: their day to day life, and their existence within the crew. Florian Gaag manages to recount a tale colored by tension and aggression. The result is a many-sided portrait of characters whose world has never been documented in this way before. Their subculture remains authentic and realistic. Edgy editing and grandiloquent camerawork, a pulsating soundtrack and an excellent ensemble of actors, make WHOLETRAIN a film experience not to be missed. The soundtrack was written and produced by Florian Gaag, who worked with legendary figures like Hip Hop greats KRS-One, Freddie Foxxx, O.C., Planet Asia, Afu-Ra, Grand Agent, Tame One, Akrobatik and El Da Sensei. 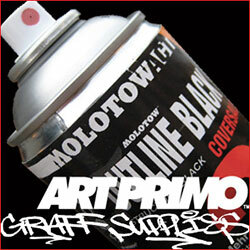 Florian Gaag also collaborated with internationally renowned graffiti artists. Writers such as Neon, Won, Cemnoz, Pure and Ciel, who were responsible for the artwork. No reply to "WHOLETRAIN – movie, soundtrack and book"